Roads and gritting are the responsibility of Rutland County Council. 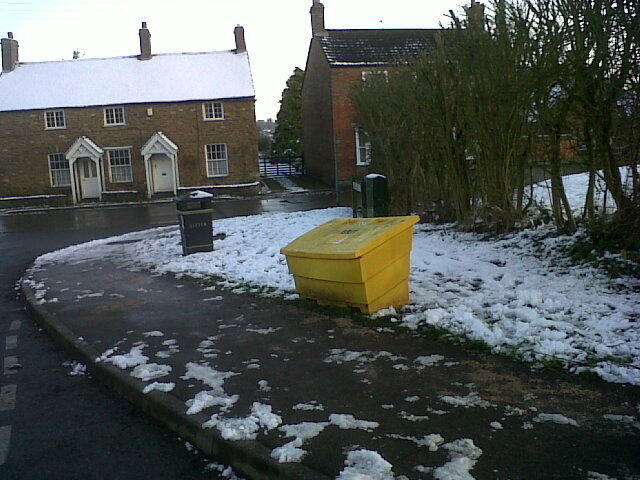 Whissendine Parish Council provides grit bins, which are restocked with salt when needed at the request of the Parish Council. The roads of the village are maintained by Rutland County Council who have placed speed humps at certain places to reduce speeds. Speed calming has been a major topic within the village and there is a proposal for the Parish Council to install speed indication signs once costings and placements have been fully reviewed. Another road issue has been the traffic using Cow Lane to avoid congestion on Main Street during school pick up and drop off hours. Cow Lane is very narrow at one end and cars may use excessive speed on the lane. Gritting is the responsibility of Rutland County Council and only the bus routes are gritted. In the recent severe winters, the roads have been very difficult to manoeuvre in some sections. To help residents, the Parish Council has obtained several grit boxes for use by residents. One is placed on Sherrard Close, one on Station Road, and one at Fox Hill.